arrested and jailed for attempted suicide, CNN reports. After weeks of being hungry and jobless, the 25-year old says he reached breaking point after a security guard pushed him to the ground while he was searching for work at a building site. He said, "I was tired of walking around that day. And I was determined to work there... so I tried to force my way in, then he pushed me, and I fell down flat on the floor. "I started begging him because I was tired, I really needed that job because I needed to eat." After being rescued by passing fishermen, Ugokwe says he was handed over to police officers who arrested him and put him in jail. Attempting suicide is a criminal offense in Nigeria, under Section 327 of the Criminal Code Act, and carries a penalty of up to one year in prison. A holdover from when Nigeria was a British colony, the law was abolished in Britain under the Suicide Act of 1961, which happened after Nigeria gained its independence in 1960. 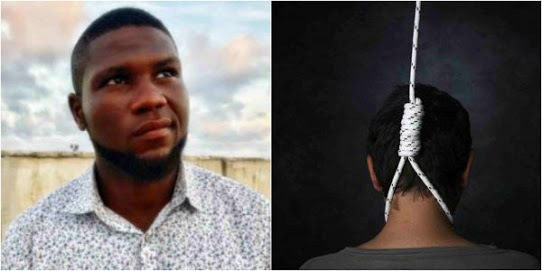 Ugokwe says he's speaking out about his attempt to take his own life despite stigma around the subject in Nigeria because he doesn't want people to suffer as he did. When he woke up on the fisherman's boat, Ugokwe says he was angry that his attempt had failed. 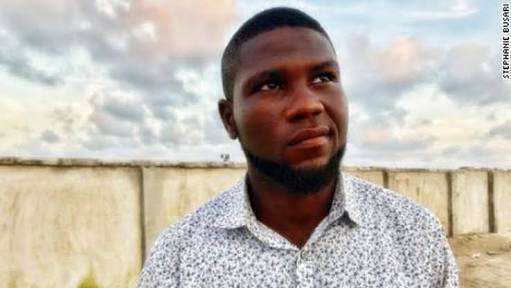 Following his arrest, Ugokwe was held at a cell near the Lagos lagoon, in the country's economic capital, before being transferred one week later to another cell on the Lagos mainland. Ugokwe says he was unaware that attempted suicide was a crime in Nigeria. "When they put me in the cell, the first thing that came to my mind was what did I do? I didn't kill anybody. I did not steal. What am I doing here? What did I do wrong? It's my life, not (the) government's life," he said. Shortly after his arrest in February, Ugokwe appeared before a magistrate to determine whether he had committed an offense. His case was postponed and he was transferred to another facility on Lagos Island. It was there he met Imanuella Ojeah, a criminal lawyer and a member of the Elevation Church in Lagos, whose volunteer prison unit makes weekly trips to local prisons. "I remember he seemed tired of life. He begged me to get him out of that place. He told me... I am not mad. I am just depressed and don't have money to eat," Ojeah told CNN. Ojeah and her team represented Ugokwe at his next court appearance at Sabo Magistrates Court, a few weeks later, in April 2017. They were asked if someone was willing to act as a guarantor for Ugokwe and look after his welfare if he were released.